Earth astronomers have made what could be the most important scientific breakthrough in the history of everything on your planet: they've proven that Star Wars is real. 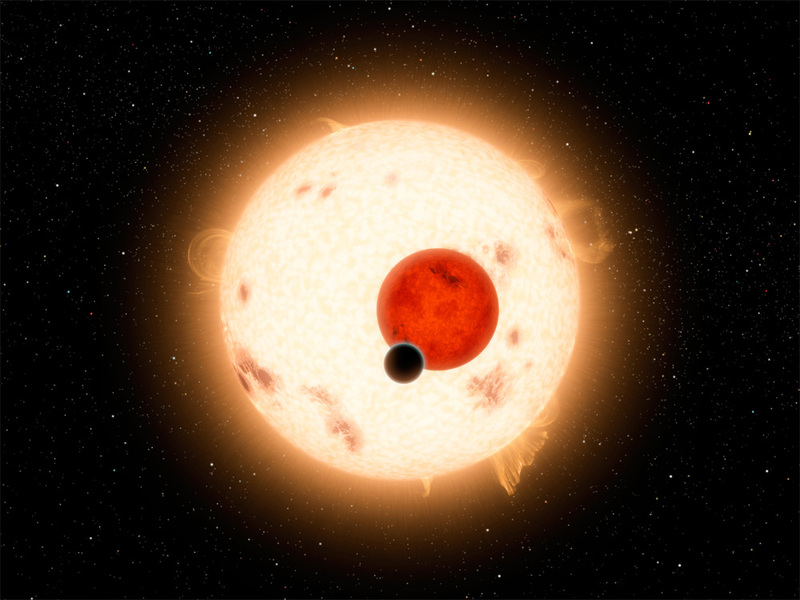 NASA's Kepler space telescope has detected a planet, Kepler-16b, that orbits two suns. And the best news? It's a mere 200 light years from Earth! That's almost close enough to watch a venerable Jedi Master recklessly and unnecessarily endanger a small child's life in next month's Boonta Eve Classic pod race if you leave now! And have a spaceship with a functioning hyperdrive. Now you too can suffer from heat exhaustion as you wander the overly sunny streets of Mos Eisley looking for droids in full body armour, take a ride on Jabba's Sail Barge (no, not THAT kind of ride, you filthy degenerate. Okay, wait, apparently THAT kind of ride is available too, carry on), or just spend a weekend unwinding by killing a few tribes of Sand People. Of course, the main reason why this discovery is so exciting is because it proves scientifically beyond any shadow of a doubt that ABSOLUTELY EVERYTHING IN STAR WARS IS 100% FACTUAL. Lightsabers, cocky space pirates, kleptomaniacal swamp-dwelling grammatically incorrect goblins, dashingly handsome cape-wearing Sith Lords and, of course, the Death Star. "But just because one thing turned out to be real doesn't mean it's all real!" we hear you protest. Of COURSE it is. That's how SCIENCE works, fictional protestor. Don't you know anything? Maybe you should look it up some time in a book on SCIENCE. Still not convinced? Then put a plastic drop cloth whatever you're sitting on and prepare to have your mind blown, because NASA also found the Death Star. 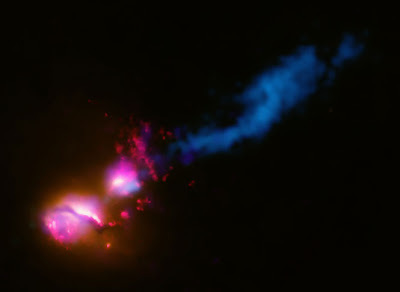 The "Death Star" galaxy is firing jets of lethal radiation and X-rays at its neighbouring galaxy from the massive black hole at its centre. Assumedly because the apparently "peaceful" neighbouring galaxy is harbouring known terrorists and really, really deserves to be bombarded with cosmic rays of death. So it's all 100% real. ALL of it. Which means we'll see you next Tuesday. You're good for planetary destruction at around 4pm, right? Do you lean toward the Dark Side? Are you a Star Wars fan, but prefer the Sith to the Jedi? Would you like to learn how to perform real “mind tricks,” defeat your enemies in mental and physical combat, manipulate people en masse, develop your psychic powers and awaken the Sith Superman within you? Good news! The Sith Academy will soon be offering instruction in a variety of Dark Arts to help you develop self-mastery and begin building your empire. Why continue to be a slave and a sleeper? Why not discover the power of the Dark Side and become a Sith Master of the Universe? Visit sithacademy.com today to begin your journey on the Sith Path of Power! The Death Star PR Webseries Needs YOU!